Gold Seal Awarded to Wyalusing State Park. Wyalusing State Park recently won the Gold Seal Award for the Best Electric Site in all of Wisconsin State Park system. The Best Electric Site is site 143. 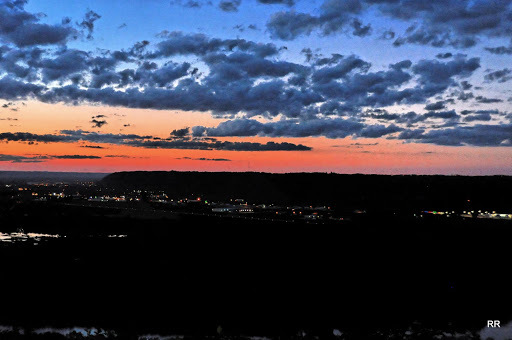 It is located high atop the bluff facing the Wisconsin River and the valley below. Site 143 is one of twelve sites located along the outer rim on the top of the bluff of Wisconsin Ridge Campground. It is the only campsite with electricity. 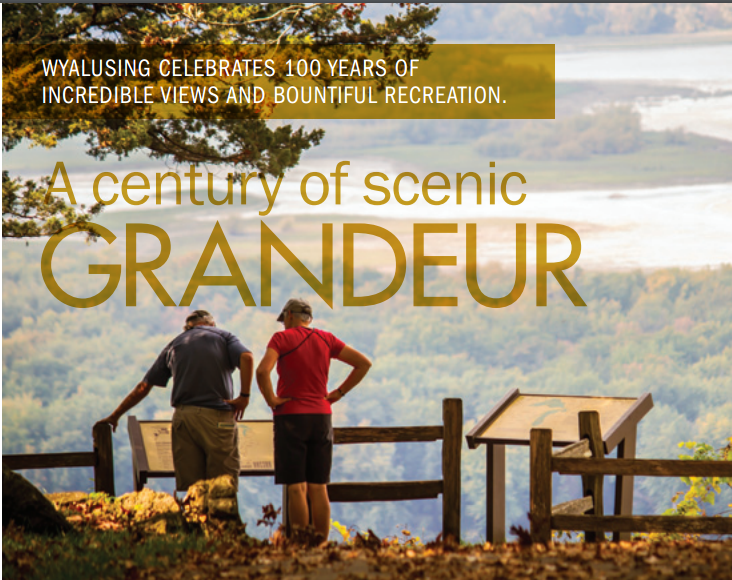 Site 143 offers a panoramic view of the Wisconsin and Mississippi River plain, including Prairie du Chien. Site 143, a non-reservable site. It is rarely empty for longer than a day during the regular camping season and most of the off season as well. Many a camper can be found just sitting or standing, gazing at the views during the day as well in the evening. It is no wonder that Site 143 was voted the Gold Seal Award for the Best Electric Site. The award was presented to Wyalusing State Park Manager, Lisa Pitzer (photo, right) and Chad Breuer (photo left), Park Supervisor for Wyalusing and Nelson Dewey State Parks. The award was presented by Randall Paske, a board member of the Friends of Wisconsin State Parks. The Gold Seal Awards is a state-wide contest run by The Friends of Wisconsin State Parks. The Friends of Wisconsin State Parks is a non-profit organization made up of of more than 80 local Friends groups and general membership across Wisconsin. Do you have a favorite photo of site 143? 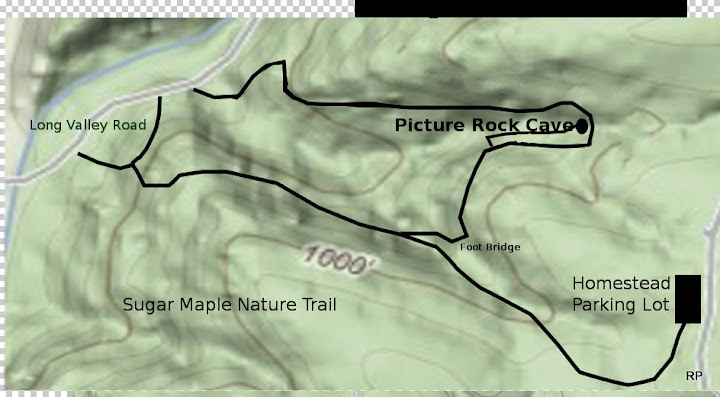 Maybe you have a short story about camping along the Ridge. How about sharing? Click here.